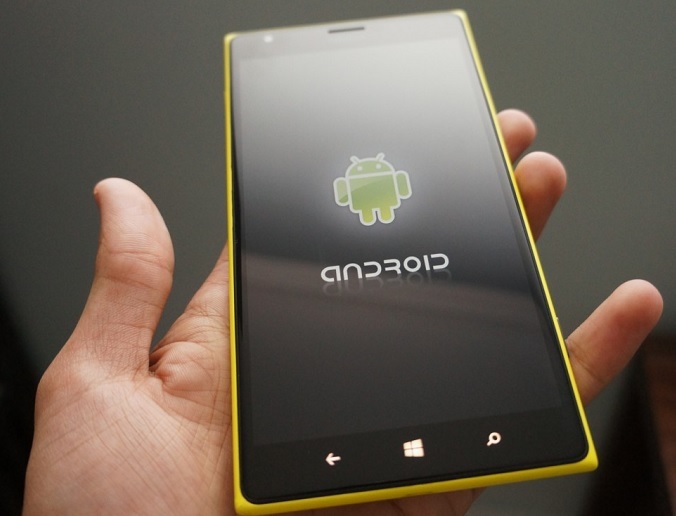 Microsoft Lumia smartphones are powered by Windows Phone, and most the Lumia users are find it difficult to Transfer Contacts from Lumia to Android mobile phones. So after knowing this problem, I am writing a detailed review of a third-party software called “MobileTrans” through which Microsoft Lumia device users can easily transfer phone data or contacts to Google Android powered smartphones and tablets. Wondershare MobileTrans is the very well known software for Windows and macOS PCs and Laptops users because it offers the wide range of features and functions to secure phone data and avoid any data loss possibility. 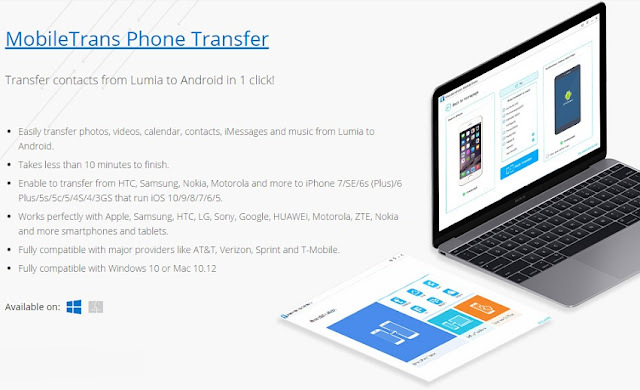 Microsoft Lumia users can also do One-Click Contacts Transfer from Lumia Phone to Android Phone by using MobileTrans phone transfer software. It’s always good to do the homework and backup all precious phone data i.e. Contacts, Videos, Music, Pictures, Notes, Calendar, Apps, Games etc. Step # 1: On your Lumia mobile phone, go to Start Screen and then swipe down from top screen and navigate to All Settings >> Backup option. Now sign-in with your Microsoft Account details, and select contacts to backup. Now your Lumia phone will back up your all contacts on cloud to your Microsoft Account. Step # 2: Now download, install and run Wondershare Mobiletrans software on your PCs or Laptops, and then select an option says "Restore from Backup" from software interface, and select OneDrive from the given options. Step # 3: You need to sign-in with your OneDrive account at this stage, and after that the software will scan all available backup file. This whole process may take some time, so have patience. Now connect your Android phone via USB to your computer, and after that software will automatically recognize it. Step # 4: Now you can select all your Lumia Contacts and click on Start Transfer button. The complete contacts will be transferred to your Android mobile phone within minutes. You're done now. One should not be lazy enough to avoid making contacts backup though 1-Click Contacts Transfer from Lumia to Android, because once you lost contacts of your phone, and then you can’t communicate with your friends and family members. Android smartphones and tablets are most popular gadgets amongst every age of people, and if you’re thinking to switch from Lumia to Android, then you must do all data and contacts transfer in a safe and secure way to avoid any data loss. You can Free Download MobileTrans contacts transfer software and can install it on any Windows and macOS operating systems devices right now.